Website collecting information about Thomas Blackwood and his family who were recruited by the Hudsons Bay Company in 1853 to emigrate from Kilmarnock, Ayrshire to Vancouver Island in Canada to work in the developing coal mines. They never reached British Columbia. 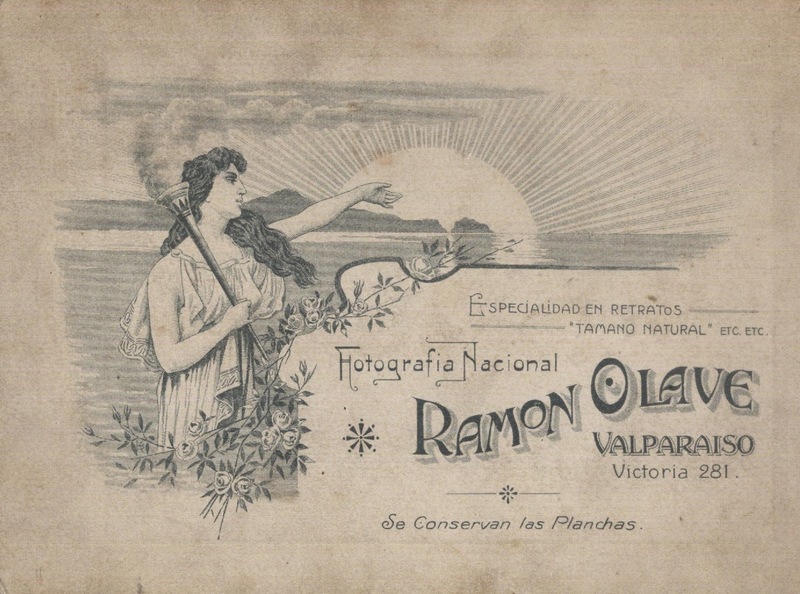 After a nightmare journey they left the ship in Valparaiso, Chile. Thomas Blackwood, his wife Elizabeth Crawford and their two year old daughter joined 30 other families to travel from Kilmarnock, in August 1853, to London. They boarded the ship The Colinda bound for Canada but left the ship in Chile where Thomas was recruited to work in the coal mines in Lota. Their son Hugh Blackwood was born in Lota in 1856 and was sent back to Ayrshire to be educated. 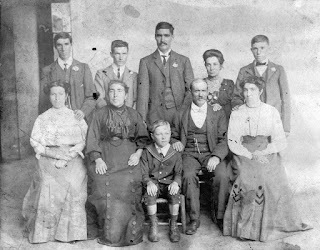 Initially returning to Dalmellington, Ayrshire to stay with his grandmother Catherine Blackwood nee Campbell he eventually settled in Cumnock and raised a large family. He died in 1929 and is buried in the Glaisnock Street cemetery in Cumnock. The rest of the family remained in Chile. 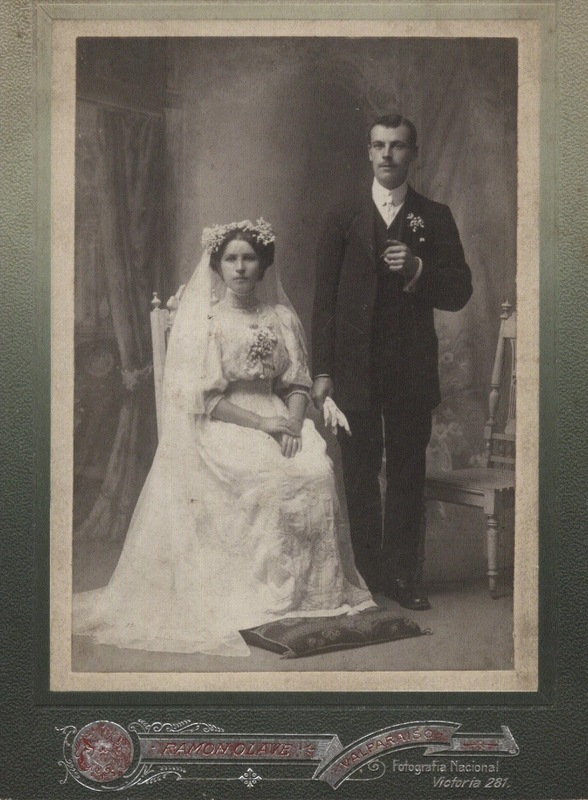 Two photographs are in our possession from Chile but sadly over the years contact has been lost. We believe the group photograph below may be Hugh's brother Guillermo (William) and his family taken after the death of his daughter Martha in 1903 aged 2 and therefore taken circa 1905. 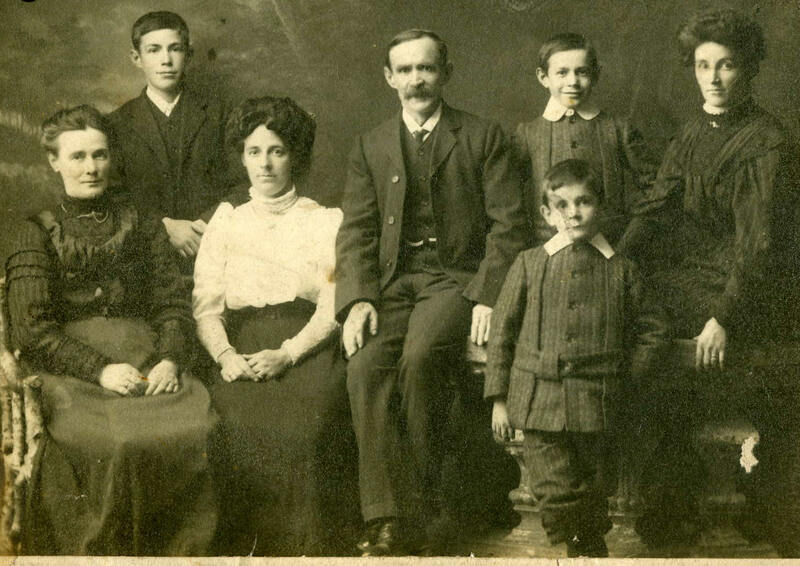 By comparison below is the a photograph circa 1910 of Hugh Blackwood and his family in Cumnock. From left to right Martha Renwick Blackwood nee Armstrong, James Blackwood, Elizabeth Crawford Blackwood (Mrs Watson), Hugh Blackwood, Sam, John, Mary Blackwood (Mrs Penrose). In 1849 The Hudson's Bay Company gained commercial rights to Vancouver Island from the British Government. They aimed to mine for coal on the island, hoping to sell coal in San Francisco where prices were high. Their existing labourers and miners were flocking to the California gold rush and unable to recruit native people, experienced miners from Scotland was the solution. The Hudson's Bay Company Agent in Scotland David Landale had been commissioned in early 1853 to recruit 40 miners and their families from Ayrshire to emigrate to Vancouver Island. The plan was to travel by train to London where the company had contracted the HBC Barque, The Colinda (600 tons) to sail round Cape Horn to Vancouver's Island in British Columbia - a scheduled 5 month voyage. The journey was to turn into a nightmare and was beset with problems from the beginning. By the summer of 1853 Landale had recruited, despite opposition from local Ayrshire mine owners,the required number of miners. In the company of wives and children they numbered more than 200. With their luggage sent by boat to London they travelled by train to Carlisle to meet the connecting train. They missed the connection in Carlisle and "the sight of them roaming the streets of Carlisle in the early hours of the morning was distressing" (1) They arrived in London 24 hours overdue. Having been joined by 40 Norwegian labourers the Colinda left Gravesend on 04 August 1853 captained by My John Powell Mills. Disagreements soon broke out between Captain Mills on one side and the ship's surgeon Dr Henry Coleman and the rest of the passengers on the other. It became clear the ship was under provisioned for the voyage, something Captain Mills tried to blame the Hudson's bay Company for at a later stage. Following the deaths of children and the harsh conditions rounding Cape Horn the passengers and crew prevailed upon Captain Mills to put ashore in Chilewhere the disputes could be settled by the British and Norwegian consuls there. According to the later report made by James Douglas, Governor of Victoria, British Columbia, the Colinda arrived initially in Chile at the port of Valdivia where Captain Mills applied to the Admiral on station for an enquiry into the behaviour of the passengers. The Colinda was by order of Admiral Moresby, taken to Valparaiso, and the passengers were there tried, before a naval court, for "mutinous and piratical conduct" at the suit of Captain Mills, and acquitted: the latter having failed in proving the charges made against them, and having by order of the Court, to pay the costs of suit. The ship's surgeon Dr Henry Coleman gave evidence in support of the passengers and against Captain Mills. The Passengers almost to a man, refused to proceed on the voyage under the command of Captain Mills, and left the Colinda at Valparaiso, with the exception of seventeen; who continued to Canada but who mostly deserted the ship on arrival in Canada and fled to the United States. A report finally reached Fort Victoria in Vancouver from Captain Mitchell of the SS America explaining that most of the passengers who had left the Colinda were wandering the streets in destitute state and declared that they would not go on the ship with Captain Mills but were quite willing to go to Vancouver Island with any other captain. By chance the arrival of the Scottish miners in Chile coincided with the early development of that country's coal industry. In particular the proprietor of the Compania de Lota, Thomas Garland took the opportunity to offer the Scots generous contracts including a house, although initially the families had to sleep in tents on the beach in Lota. "...Thomas Garland's faith in the miners abilities seems to have paid off handsomely..."
Anyone with additional information or photographs please use the comments link at the foot of the page.